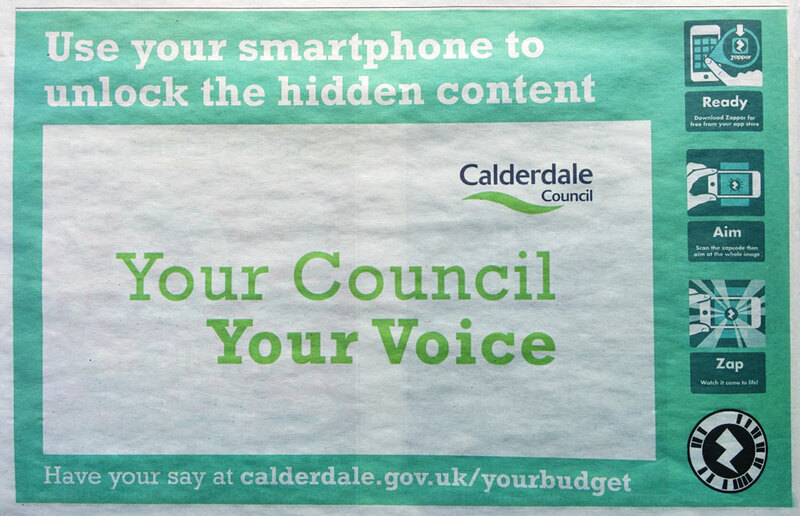 Our recently completed animation for Calderdale Council has been covered in the Hebden Bridge Times. The paper features a large advert that, once scanned using the augmented reality phone app ‘Zappar‘, triggers the playback of our client’s animation. The video stays locked to the advert no matter how you angle the phone – just a little taster of how augmented and virtual reality technologies are becoming more commonplace. At Rogue Robot we are constantly pushing boundaries and exploring new technologies, and our clients love this. If you are interested in augmented reality applications for your video don’t hesitate to contact us.